Jabaco is a simple object-oriented programming language with a BASIC-like syntax. With Jabaco you are able to build powerful software for all java supported operating systems. 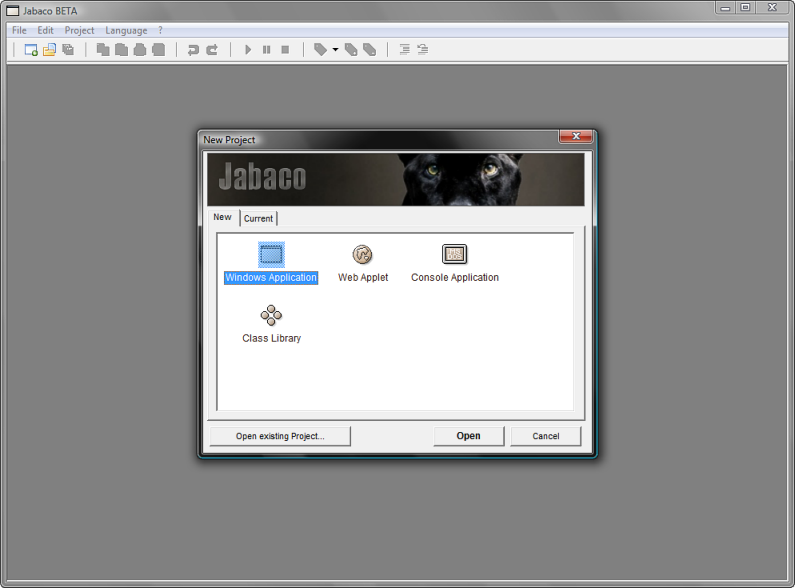 Jabaco is a modern development environment that comes with a graphical GUI-Designer, a comfortable Source-Editor, a Runtime-Debugger and several other tools to make your work easier. This site does not contain serial number, crack, keygen Jabaco serial number : serial number is the simplest type of crack. A serial number(cdkey,product key,etc) is register the program as you may already know. a crack or keygen may contain harmful software. If you cannot find the exact version you want, just give it a try. for more information read .nfo/.txt/.diz file include in zipped file.